1979 Irwin Citation 34 Well maintained 1979 Irwin Citation 34'-4" with 11'-4" beam light tan hull. 15 HP Yanmar inboard diesel, 4' keel with drop down center board. "Nearly Enough" has a 80 gallon water tank and 31 gallon fuel tank. Forward cabin - V berth, storage below and cabinets with hanging closet. Main cabin - Double berth, quarter berth. Galley-Ice box, refrigerator, stove/oven, stainless sink, dinning table, Nav. station, air conditioner. 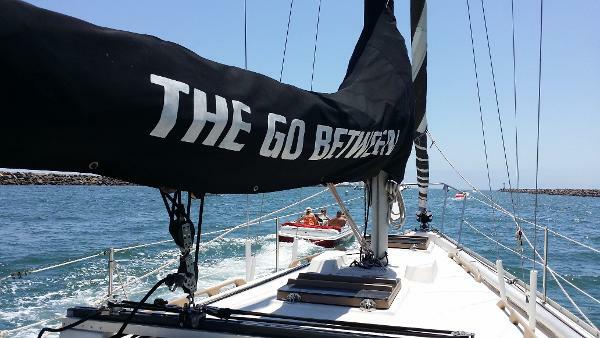 Head- Toilet, sink, shower Sails- Main sail full batten with cover, 135% roller furling jib. Lovingly cared for and ready for your inspection. 1978 Irwin Citation 34 Federally documented 1978 model that seller has owned since 1980. A wide beam boat with ample seating and warm wood interior. This boat has roller furling, twin winches in cockpit and on mast. Newer batteries, bilge, water pump,starter and generator. A clean boat that is Priced to Sell. 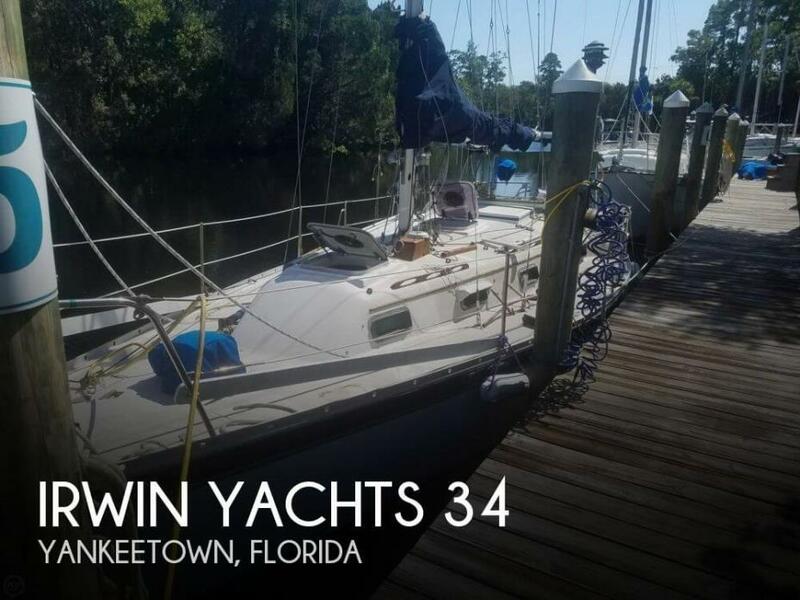 1985 Irwin Citation Just Listed - 1985 Irwin 34 Citation "La Papillon" that has been well maintained and has lots of upgrades (new custom sails from Mack Sails, new main sail cover, new Harkin roller furler, new Lamar self tailer winch, and new rigging / halyards). 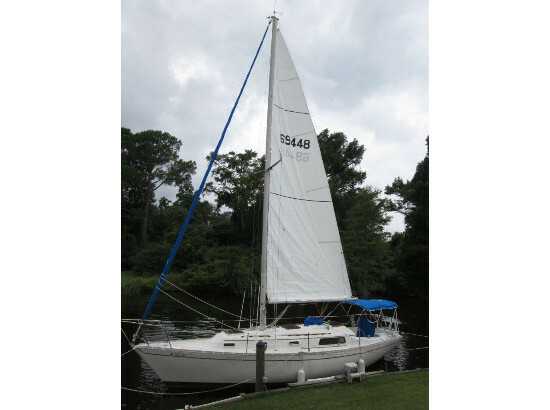 This is a nice Chesapeake Bay sail boat, having just completed a Middle River - Annapolis - Choptank River - Chester River - Fairlee Creek Middle River Loop. Owners plans have changed so it's time for someone else to enjoy all the upgrades and updates that have been completed. She is In the water at a floating dock in Middle River and the slip is paid till next April. 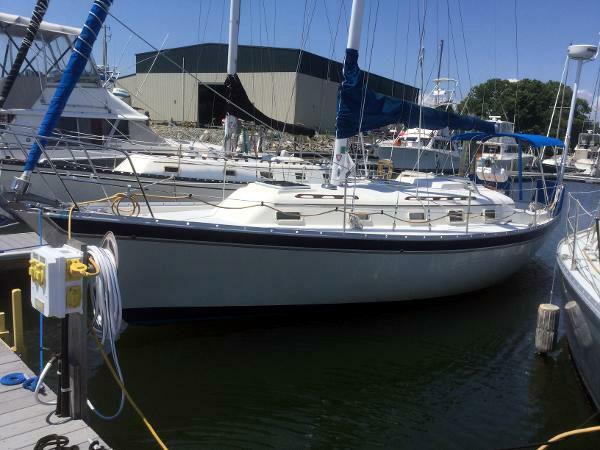 1979 Irwin Yacht Citation 34SL. 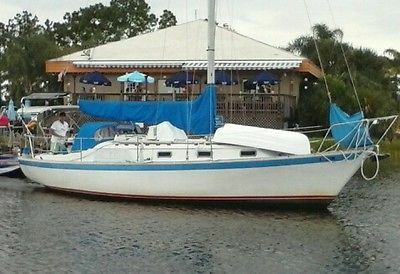 33 foot long Vessel in great condition- White fiberglass exterior plus a Multi Colored theme interior decor- Equipped with a Single Outboard Motor with Low Hours on it- Sails are all in great condition- Very comfortable to relax with lots of storage and spaces to sleep- Sit on the Deck at Night and gaze at the Stars high up in the Sky- Facilities available for your needs- Great for Living on or just Relaxing and taking out on the Weekend- This is a must see Sail Boat and everything works well- Serious inquiries only. This Vessel is currently located in San Luis Obispo CA.- Qualified buyers may be eligible for Financing Nationwide Shipping and Extended Warranties. 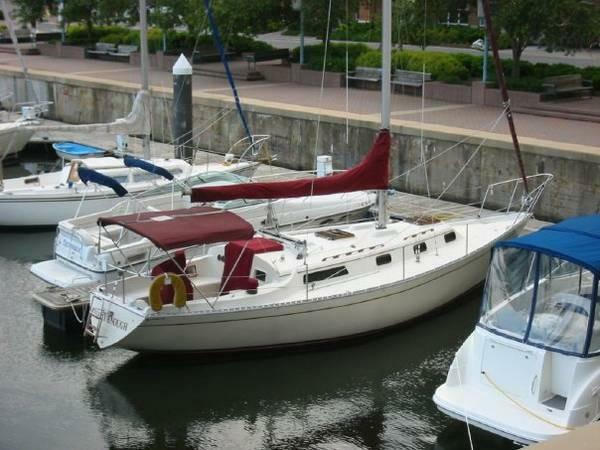 1985 Irwin 34 The Irwin Citation 34 is a well known and regarded Racer/Cruiser. This very nicely kept Irwin has enjoyed the best of maintenance and her engineer owner has added many updates and improvements including New 2010 Yanmar diesel, BOW THRUSTER, AC, Raymarine electronics in helm Navpod, newer Doyle sails...much more as detailed in the full listing! 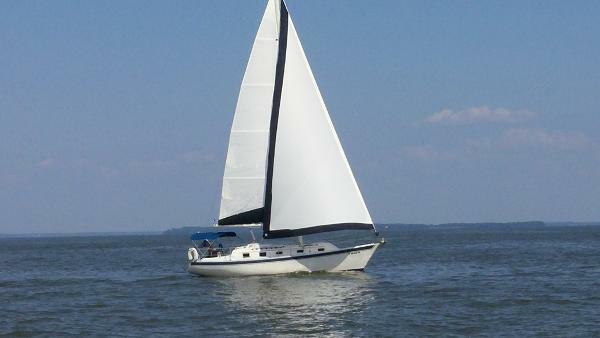 In the water and ready to sail, she really needs to be seen to be fully appreciated! 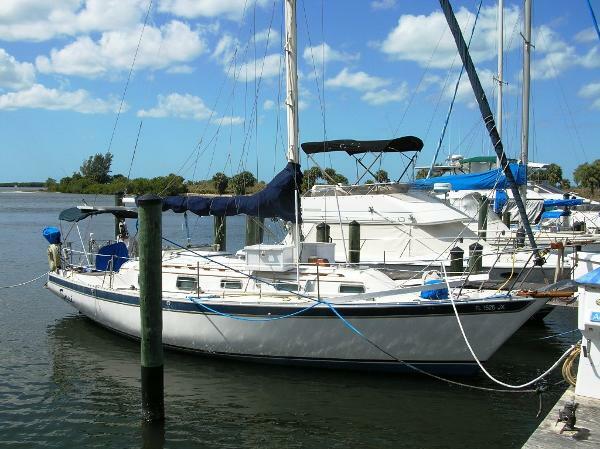 If you're looking for a sweet sailing shoal draft boat that's been maintained and is in sail away condition then this is it! !